Papua New Guinea lies north of the Australian continent between the parallels 0° and 10°S, resembling some prehistoric dinosaur with it’s mouth facing west to Indonesia and the tail hanging down to the southeast, and cutting the Louisiade Archipelago. Its southern coastline forms the northern barrier of the Torres Strait – the logical route to Australia’s east coast for yachts approaching from the Indian Ocean or Asia. The island is divided in two. The western sector, Papua (formerly Irian Jaya) is a province of Indonesia and the eastern half, Papua New Guinea (PNG), is an independent nation. 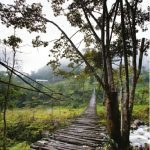 While globalisation has resulted in “sameness” between countries, Papua New Guinea remains unique and largely unchanged.. 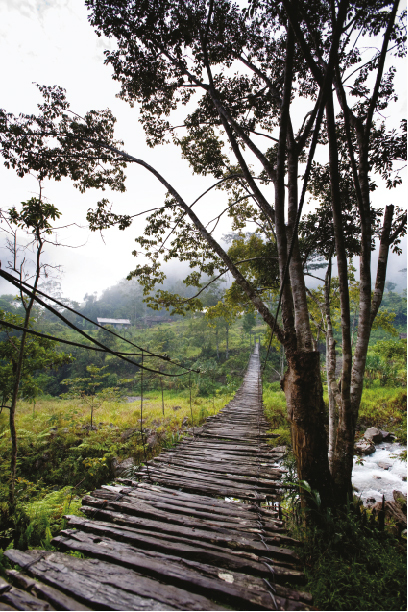 The country is also one of the world’s least explored, both culturally and geographically. A PNG visa can be obtained upon arrival, but I would highly recommend these be acquired for all crew and guests prior to arrival. This can be done online at www.papua-new-guinea.visahq.com but also, check with your agent that all formalities have been attended to well prior to arrival. The educated thinking believes the world’s coral reef species originated in the triangle encompassing Suluwesi, PNG and the Solomon Islands and as you venture further afield, coral diversification diminishes. Hence, the variety and quantity of underwater life in the waters of PNG is truly staggering and scenitists are still discovering new species at a fabulous rate. Suffice to say, the diving here is arguably the best there is – in fact 20 of the world’s “Top 100 Dive Sites” are on the one island of New Britain – right here in PNG. 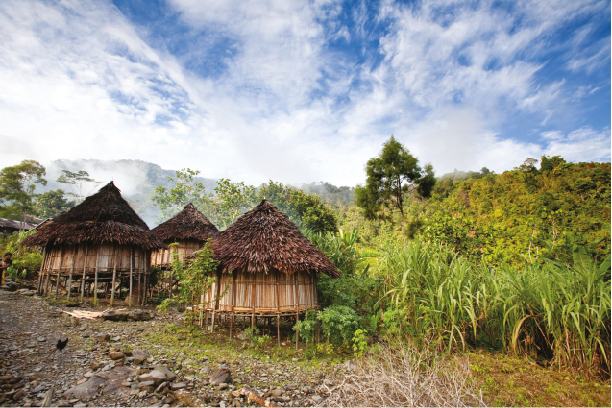 The recommended time to visit PNG is from April and May through until December, the southeast monsoon or dry season. This is also the best time for diving as the water clarity is at its best. December to April is the northwest monsoon and the wet season. Cyclone season runs from December to March, but only the southeastern portion of the country is affected. As with most regions on or near the Equator, and with a mountainous interior, sudden and often violent winds arrive with little or no warning. Light sea breezes are typical, with long periods of calm. Occasional afternoon thunderstorms, with associated heavy rain are not uncommon.. The Australian Bureau of Meteorology www.bom.gov.au covers the area with their “High Seas Forecasts”. 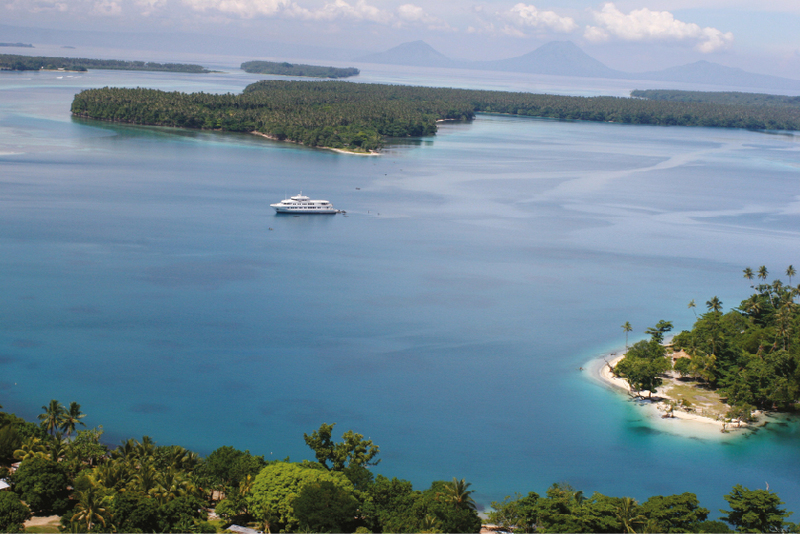 The best cruising in PNG is found among the islands to the east and north of the mainland. This covers a vast area, and is dotted with a myriad of islands, bays, reefs and local villages. Here you will find the locals still going about life much the same as they have been doing for thousands of years just like a living, breathing National Geographic documentary. 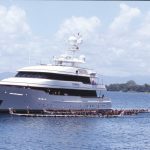 I usually begin in either Madang and cruise east through New Britain and New Ireland concluding in Rabaul and a separate cruise from Alotau (Milne Bay Province) through Goodenough, Normanby and Fergusson Islands and the western sector of the Louisiade Archipelago. For those approaching from the south and east, the logical entrance is via China Straits or Jomard Entrance further to the east. Both are well lit and charted. I regard a cruise up the mighty Sepik River an absolute “must do”. Mostly the anchorages around the mainland and continental islands have a mud bottom and very good holding. Beware sudden squalls and wind shifts as the weather here can be very localised and difficult to predict. Typically you will have many outrigger canoes arrive shortly after dropping anchor, and while you must always be on the alert, I have never had any security issues when dealing with them. While British Admiralty and Australian hydrographic charts cover the area adequately, the surveys are quite dated. The major shipping route(s) have accurate hydrographic information. Outside these Zones of Confidence is inadequately or totally unsurveyed territory, nowhere more so than the route through the reefs of the Bismarck Sea. The condition or lack of navigational aids used to be part of the adventure. Do not expect lights to be working, or even charted beacons to be present. Having said that, a lot of work has been done over the past five years replacing many of the lights and most are now in excellent condition, especially those in Milne Bay Province. Bulk fuel is available at all the main ports, mostly from tanker truck. Melanesian Tourist Services www.mtspng.com is the agent I use in PNG, the most respected and best available. You must always be mindful that this is not the Continental US or Europe and things happen at a very different pace and with a very different approach here. As mentioned earlier, one of the most respected guides, and absolutely the most experienced dive guide in PNG is Bob Halstead. I avoid both Lae and Port Moresby due to the lawlessness. There has been occasional theft from mainly smaller yachts, but once again, liase with your agent on this subject and always be vigilant. There is no shopping in the regular sense to be had in PNG. In the major cities there are a few malls and supermarkets but otherwise most of the shopping is done in small village markets that are held at irregular intervals. Haggling is not really an accepted custom, one can haggle a bit but to do it excessively is considered rude. Excursions: I could write forever on all there is to see and do in this amazing country. May I suggest contacting Melanesian Tourist Services www.mtspng.com and/or Transniugini Tours www.pngtours.com for up-to-the-minute information and itinerary planning. 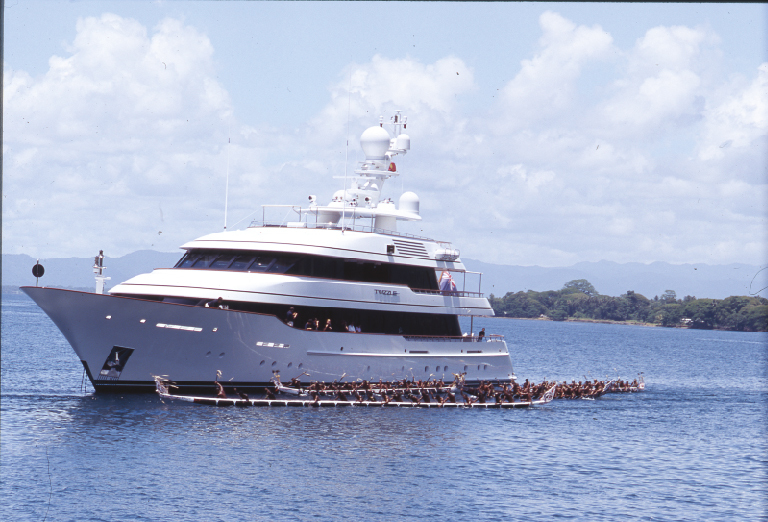 A voyage to Papua New Guinea will be an experience that will forever live in your memory.